[ iOS ] Version 1.6.8 has been released. [ iOS ] The main changes in version 1.6.8 are the following. 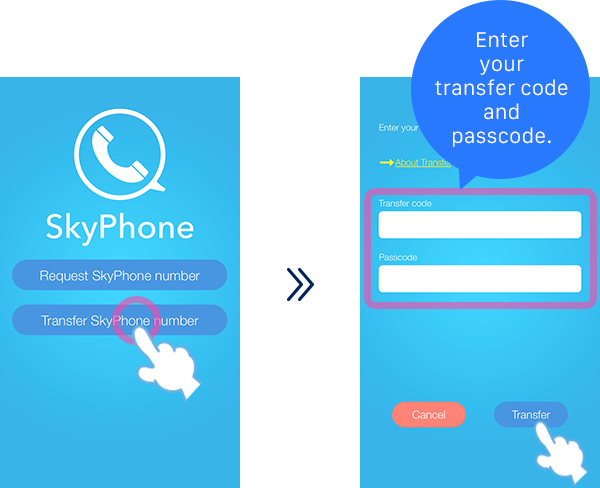 - You can now transfer your SkyPhone number to your new device. The SkyPhone number transfer function is added and you can use the same number on your new device. Settings in SkyPhone > Tap [Transfer] to generate a transfer code. Note: Make sure to take a note or a screenshot of the transfer code and passcode. Tap [Transfer SkyPhone number] in the first launch screen on your new device. 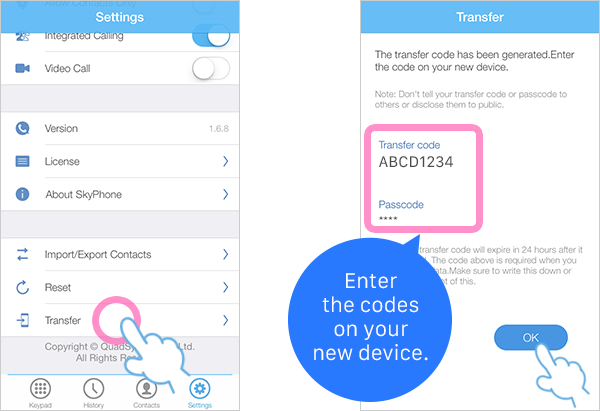 You can transfer your number by entering your transfer code and passcode that you created on your previous device.